Focused growth encourages new housing and job sites in existing communities – those with access to multiple transportation options including biking and walking. San Francisco's Mission Bay neighborhood. Plan Bay Area 2040 identifies focused growth (or smart growth) as a way to help our region meet the Plan’s various performance targets and reduce greenhouse gases at the same time, as required by state law. Looking for fact sheets, policy documents, briefings and finance reports on this topic? Visit our digital library and type “smart growth” in the search field. The growth of the business sector is expected to result in more jobs in the downtown areas of San Francisco, San Jose and Oakland. A diverse mix of businesses has relocated to the Bay Area’s established industrial sections in recent years. We still see concrete plants and other familiar facilities, but industrial lands are also occupied by food processing, high-tech product development, car repair, graphic design and recycling businesses, among many others. It’s in our best interest to ensure new businesses have access to industrial lands, so that the jobs they create remain in the Bay Area. 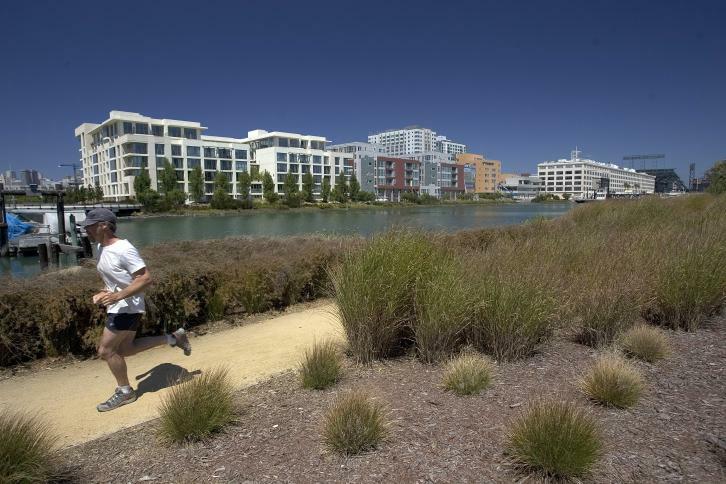 Plan Bay Area forecasts a slowdown in the development of suburban office parks. Already, many existing office parks are changing to use less space per worker, provide direct transit access or private shuttle services, and even offer housing and other amenities. Increasing transit access to office parks can be expected to reduce — but not erase — the traffic congestion associated with employment growth.